Lightroom is a great program, designed from the ground up for photographers who have to process a huge number of images in the shortest amount of time possible. 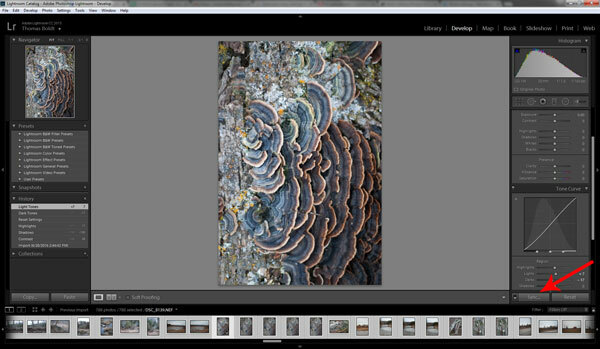 There are all kinds of great little tips, tricks and shortcuts that make your Lightroom workflow a breeze to manage, but they’re not all immediately obvious – especially when you’re just getting the hang of the program. With that in mind, we’ve put together a few of our favourite tips to help speed up your Lightroom workflow, and make sure that you spend more time shooting and less time editing! It might seem like the simplest thing in the world, but you might be completely amazed by how much faster you can work in Lightroom by learning a few keyboard shortcuts. Think of it like the difference between ‘hunt and peck’ typing with two fingers and a professional transcriptionist. In fact, it’s actually even more of a difference, because when you have to take your eyes off your current edit to find the right tool or settings adjustment, you lose your place in the edit and have to pick it back up again. When you’re just making one or two simple edits, you won’t notice this slowdown very much, but when you’re editing 500 photos you’ll begin to appreciate just how much time you save by staying focused and switching tools rapidly. Lightroom goes out of its way to be helpful when it’s first installed, but it’s idea of help isn’t always the best possible process. It is actually quite overzealous when it’s first installed, automatically monitoring any drive you connect to your computer and trying to load in photo if it detects them on the external drive. This can be useful, if you only use your computer for Lightroom and nothing else, but for most of us it’s more annoying than useful. But with a bit of configuration, you can teach Lightroom to automatically import image files from a single folder on your hard drive. Essentially, anything you copy into the folder you specify will be automatically imported into your Lightroom catalog, saving you the effort and streamlining your workflow. While we’re on the subject of importing images, you’ll probably find yourself applying the same series of edits to your images every time you work on them. This is especially true when you’re importing RAW files, because you’ll want to ensure that Adobe Camera Raw is interpreting the colours in your RAW files properly. Fortunately, any settings you apply in the Develop module can be turned into a preset, and any develop preset can then be automatically applied to every image you import. For example, you may notice that the JPEG previews of your RAW files don’t match the colours in the images once they are rendered in Lightroom. This is a side-effect of working with RAW that can add some extra steps to your editing process, but by digging into the Camera Calibration settings, you can find the best possible match for your camera manufacturer and settings. To turn this into an import preset, choose a single image with no other edits applied, and adjust the Camera Calibration (or anything else) to your desired setting. 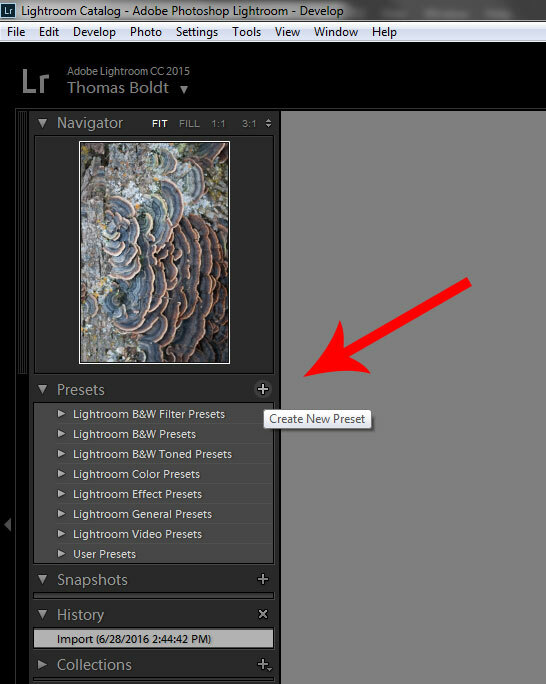 On the left hand side of the Lightroom window, click the + icon in the Presets panel and choose ‘Create New Preset’. In the dialog box, ensure that your chosen setting is selected, name your preset, and click Create. Now, next time you import images into your Lightroom catalog, you can automatically apply your calibration preset to each image all at once. When you’re sorting through your latest import, you’ll probably want to go through all the images from a shoot and pick out the ones that are most worthy of special editing attention. The diamonds in the rough, as it were. But when you’ve shot 500 images, it’s more or less impossible to keep track of which images are worth going back to. Enter the handy image flag! In its simplest form, image flagging allows you to, well, flag specific images with a small identifier. There are two basic flag types in Lightroom: ‘Pick’ and ‘Rejected’. In the grid or filmstrip view, you can press ‘P’ to flag an image as a pick, and ‘X’ to flag an image as rejected. Once you’ve gone through all the relevant images, adjust the filter settings to only show photos that were flagged as Picks. If you want to get more complex, you can use Lightroom’s 5 star rating system by simply tapping the appropriate number on the keyboard. This may work for you, but it can also be a bit more difficult to tell whether an image that’s rated 4 is worth an edit but 3 isn’t, or why you would rate any image a 2 instead of simply just rejecting it. It’s all up to you! If you’re working on a series of images but you’re not in need of a permanent preset, you can use the ‘Sync’ button as a kind of temporary preset. With your initial image selected and editing, use the filmstrip panel to select the other images that you want to use the same settings, and click the ‘Sync’ button in the bottom right corner. In the dialog box, select the settings you wish to synchronise and click ‘Sync’. It’s almost always a better idea to use the presets method, but it’s also easy to overpopulate your preset list, which can make it a bit of a pain to find the right one that you want to use. These are just a few of the ways that you can speed up your Lightroom workflow, but there are plenty of others. One of the great things about the editing workflow process is that everyone has their own unique ideas about the best way to go about things. There is no “best” way to work this, so experiment with everything to choose the best workflow for your work habits!